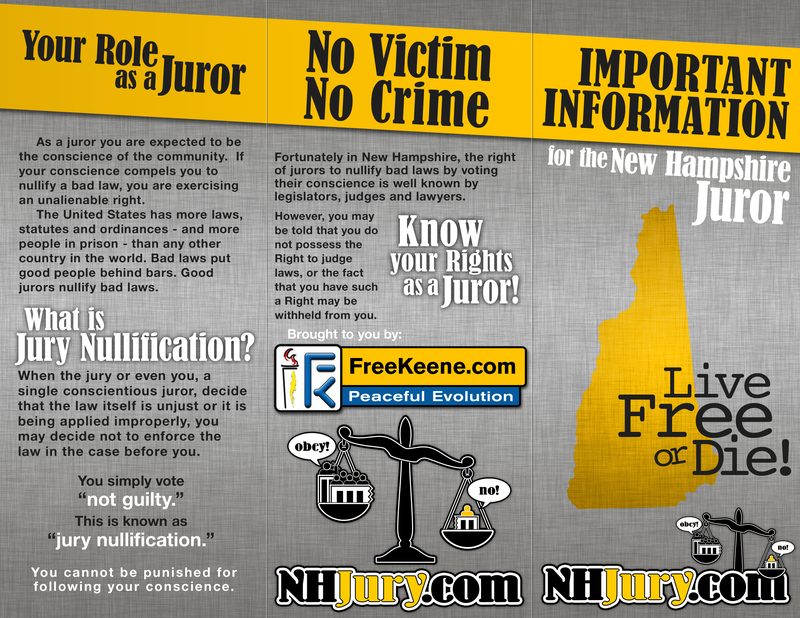 New Jury Outreach Flier for All of NH! 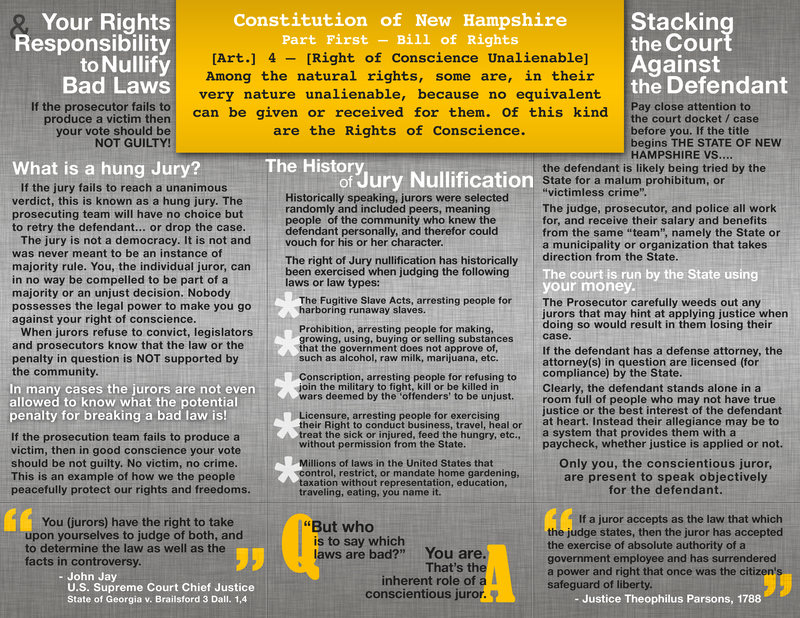 Thanks to the folks at NHJury.com for putting together an awesome trifold for sharing information about Jury Nullification with NH jurors! Previous to this trifold, we had been using a flier from the Fully Informed Jury Association. FIJA’s flier had great information and was certainly the inspiration for this new NH-based trifold, which in my opinion, is very impressive. FK blogger Meg McLain did the graphics work (you can hire her to make your projects look amazing) and Rich Angell and Bob Constantine provided the text. Free Keene sponsored the print run. The best way to distribute these is at your local superior court as potential jurors arrive for juror selection day. Contact your local court for details on when this happens in your area. To be honest, Rich and I had alot of help from other reknowned unmentioned and modest activists in creating the text etc. and in the inspiration to accomplish this. We would be very pleased if liberty activists availed themselves of this brochure when doing Jury Nullification awareness outreach.